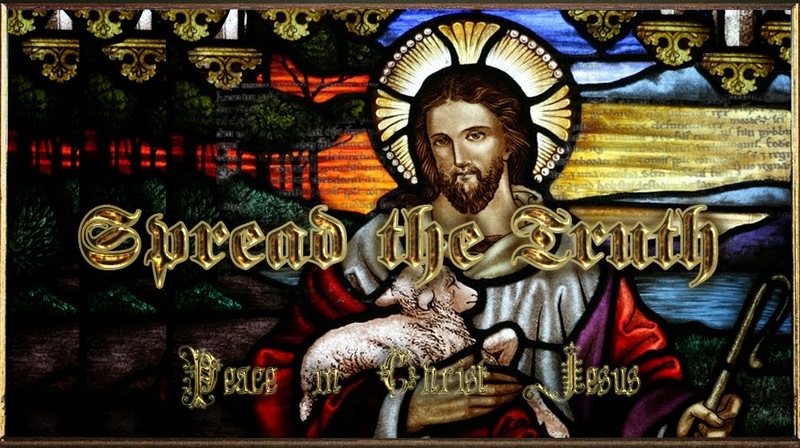 John 2:13 "And the Jews' passover was at hand, and Jesus went up to Jerusalem,"
John 2:14 "And found in the temple those that sold oxen and sheep and doves, and the changers of money sitting:"
John 2:15 "And when he had made a scourge of small cords, he drove them all out of the temple, and the sheep, and the oxen; and poured out the changers' money, and overthrew the tables;"
John 2:16 "And said unto them that sold doves, Take these things hence; make not my FATHER's house an house of merchandise." Christ is showing us to cleanse the House of the LORD, even our nation, as well as our minds (your brain is situated between the temples), of the money changers and their wicked ways. If we are truly One Nation under GOD, then the entire country needs to put an end to usury and the present, corrupt monetary system. Usury is the parasitic weapon that powers the Four Hidden Dynasties. The international banking families are situated at the top of the dynasty pyramid. Usury and abominations lead to the downfall and collapse of nations. And to no surprise, the world system and its dynasties will always beg to differ and walk contrary to GOD's laws and instructions. Usury is a weapon of economic warfare and it helps with keeping enemy nations in-check. It's one of the reasons why we can lend to a stranger and not to a brother. Deuteronomy 23:19-20 "Thou shalt not lend upon usury to thy brother; usury of money, usury of victuals, usury of any thing that is lent upon usury:" Unto a stranger thou mayest lend upon usury; but unto thy brother thou shalt not lend upon usury: that the LORD thy God may bless thee in all that thou settest thine hand to in the land whither thou goest to possess it." Ezekiel 18:12-13 "Hath oppressed the poor and needy, hath spoiled by violence, hath not restored the pledge, and hath lifted up his eyes to the idols, hath committed abomination, Hath given forth upon usury, and hath taken increase: shall he then live? he shall not live: he hath done all these abominations; he shall surely die; his blood shall be upon him." Ezekiel 22:12 "In thee have they taken gifts to shed blood; thou hast taken usury and increase, and thou hast greedily gained of thy neighbours by extortion, and hast forgotten me, saith the Lord GOD." Once upon a time, Sodom and Gomorrha were destroyed by GOD. Once upon a time, the love of money was frowned upon and usury was against the law. Today, things are backwards. Indoctrination is the poison from the cup of devils and usury is from the table of devils. Satan and his Babylon-style system of confusion and abominations will promote everything that GOD hates. When you understand this, many things will start to make sense to you. Everything unnatural is being peddled to the masses, even our crops and animals are being modified. When you go against the natural order of things, breaking the bounds which GOD has set, there are consequences to come, for the wages of sin is death. The programs - via the four hidden dynasties - from the world do nothing for your spirit. You must eat from the LORD'S Table and drink from the cup that runneth over with Truth. The WORD nourishes your spiritual body with wisdom, truth and understanding. Whatever doctrines, systems or ideas that you choose to believe or accept, if it doesn't align with GOD's WORD, it's not of GOD. Psalms 23:4 "Yea, though I walk through the valley of the shadow of death, I will fear no evil: for thou art with me; thy rod and thy staff they comfort me." Psalms 23:5 "Thou preparest a table before me in the presence of mine enemies: thou anointest my head with oil; my cup runneth over [with Truth]." We live in a world that is known as the valley of the shadow of death, because the "spiritually" dead are everywhere we go. Yet, in this world system, the way of cain is worshipped and idolized by the masses, because they only see the illusions that are created by the prince of the power of the air, satan (Eph 2:2). The indoctrinated masses cannot see the four hidden dynasties, because the systems and words of men, including false doctrines, documentaries, history books and news reports are treated as gospel by them. Indoctrination is an important component in the transfer of the traditions and precepts of men from one generation to another. If you never question or critically examine what the world is feeding your mind with, you're indoctrinated. A little bit of leaven leaveneth the whole lump and a little bit of indoctrination propagates through the entire mind. Dualism is an illusion in double-mindedness and a lie. There is only ONE GOD, ONE SAVIOR and ONE (SPIRIT OF) TRUTH, also known as The TRINITY, which is ALMIGHTY GOD "YAHVEH" in three seperate offices. Truth exists without lies but lies cannot exist without truth. There is only One Way, the straight and narrow path, that leads to Everlasting Life (Christ). Any man that veers off that path, will find himself wandering in a full circle, only to end up bowing his knees to the ONE, Jesus Christ. No flesh shall glory in His presence (1 Cor 1:29). The Universal Law, or Cycle, of GOD is obedience and submission to Him. Even satan and his lieutenants are in obedience and submission to GOD and they only flee when they are cast out in the name of Jesus Christ (Mat 4:10). Through faith, Christ has given us the power and authority to drive out evil spirits In His Name. It is Christ that makes them run and orders them back to the abyss for a season. When we repent, and call upon the name of Jesus, we have that power. You should never be afraid of man, evil spirits, the devil and his Four Hidden dynasties. Just exercise some common sense concerning where you go and who you associate with. What shall we then say to these things? If GOD be for us, who can be against us? (Rom 8:31). Luke 10:18 "And he [Christ] said unto them, I beheld Satan as lightning fall from heaven." 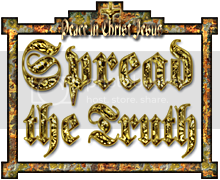 1 John 4:3 "And every spirit that confesseth not that Jesus Christ is come in the flesh is not of GOD: and this is that spirit of antichrist, whereof ye have heard that it should come; and even now already is it in the world." 1 John 4:4 "Ye are of GOD, little children, and have overcome them: because greater is He [Christ] that is in you, than he [satan] that is in the world." Evil spirits can only do to man what man allows, because only man, in the flesh, has the freewill, or choice, to disobey GOD. Only man has been given this freewill, to choose whether or not he wants to love and serve the Living GOD. Everything else (galaxies; stars; oceans; plants; creatures; seasons; you name it) follows the Universal Law of GOD in obedience. There is nothing under the sun and over it that doesn't obey GOD's orders, only man. A good tree (trees are symbolic of people; remember this for later studies) cannot bring forth evil fruit and a corrupt, or evil, tree cannot bring forth good fruit. If you judge by the outward appearance or show respect of persons, you have transgressed the law and will miss out on a lot of good fruit. This is the simplicity in which Christ taught but very few listen and do. Ye shall discern between sheep and wolves by their fruits. Matthew 7:12 "Therefore all things whatsoever ye would that men should do to you, do ye even so to them: for this is the law and the prophets." Matthew 7:17 "Even so every good tree bringeth forth good fruit; but a corrupt tree bringeth forth evil fruit." Matthew 7:18 "A good tree cannot bring forth evil fruit, neither can a corrupt tree bring forth good fruit." Matthew 7:19 "Every tree that bringeth not forth good fruit is hewn down, and cast into the fire." After you begin discerning men by their fruits, and not by their appearances and words, you'll begin to see the hypocrisy in many of the world's leaders and businessmen. Don't be discouraged by it because GOD is always in control. You can still enjoy life and your work under the sun. Keep loving and serving GOD first in your mind, heart and actions. Everything in this flesh life will fade away but the WORD of our GOD shall stand forever and ever. Amen. We're now going back to the Book of Zecharia and the four carpenters, or smiths. Zecharia 1:20 "And the LORD shewed me four carpenters [smiths]." carpenters = H2796. chârâsh (khaw-rawsh') From H2790; a fabricator of any material: - artificer, (+) carpenter, craftsman, engraver, maker, + mason, skilful, (+) smith, worker, workman, such as wrought - (Strong's Concordance). The four carpenters, or smiths, rely on the greatest power, the Horn of Salvation, through Christ. The word, "fray", means to terrify or put in consternation. The four smiths could represent four Divine agencies, raised up by GOD, to overthrow the four hidden dynasties. Smiths and carpenters make and fix objects. They have a deep understanding of their craft, through their GOD-given gifts, study, work and experience in their professions. The smiths are comprised of the upright ones that live, carry and share the Truth in GOD's WORD. The rejecters of Christ called the Messiah, a workman, or the carpenter's son, but Christ is the King of Kings and the Key Master, who holds the Key of David, the master key that openeth all doors to truth, because He is the Truth. The first door that is opened starts in Genesis, the Origin or The Beginning, in the first two verses (future study). The four smiths are key smiths, in a way, who possess the Key of David. They can discern and warn about the tools and weapons of deception used by satan, the enemy, and his scripture lawyers and word smiths, that modify and leaven the WORD. Priests do battle with priests and only the key smiths of GOD can take on the word smiths of satan. In order for the false christ, which is satan, to make an entrance onto the stage of one worldism, there has to be a support group and nation. The synagogue of satan is comprised of those "which say they are jews, and are not", meaning they're false jews. Fake brother judah is building up the false nation of Israel as we speak. If you understand that satan has a seedline, then things will begin to make sense. The Nethinim, kenite scribes were the early word smiths that attempted to modify and change the Scriptures. They're the practitioners of shaping and twisting words and truth, the bakers of leavened bread and hypocrisy. "No man lifts up his head" means that the masses don't step forward to stop what's taking place, while the four horns continue to gain power with one worldism. The master plan is for a new world order, then religion, run by satan's children, as they put all of their plans together to usher in their father, satan, to deceive the world into worshipping him as Christ. The false messiah, satan, will be the last dead president of the faulty one world government, the Towel of Babel of the end times. The indoctrinated, with their double-mindedness, will accept laws, systems and all of the structures needed to bring it into fruition. The synagogue of satan will push the form of one worldism, and religion, to mankind as the solution to poverty, wars, financial crisis and other problems, when in fact, manufactured financial collapses, wars and terrorism were planned out in order for the masses to accept the new form of governance. The ones that are not indoctrinated, GOD'S elect, will know that the false christ, satan, will come first with deception, lies and wonders to deceive the world. Matthew 13:37 "He answered and said unto them, He that soweth the good seed is the Son of man;"
Matthew 13:38 "The field is the world; the good seed are the children of the kingdom; but the tares are the children of the wicked one;"
Matthew 13:39 "The enemy that sowed them is the devil; the harvest is the end of the world; and the reapers are the angels." Matthew 13:40 "As therefore the tares are gathered and burned in the fire; so shall it be in the end of this world." Isaiah 29:15-16 "Woe unto them that seek deep to hide their counsel from the LORD, and their works are in the dark, and they say, Who seeth us? and who knoweth us? Surely your turning of things upside down shall be esteemed as the potter's clay: for shall the work say of him that made it, He made me not? or shall the thing framed say of him that framed it, He had no understanding?" The works of the conspirators remain in the dark. Wait a minute, you mean conspirators exist? Have you not read? For it is written. Their craft, via indoctrination and the precepts (traditions, systems, words) of men, make willingful minds weak and stupid. Therefore, if you follow the words and traditions of men, GOD will allow you to be stupefied by their indoctrination and false doctrines. It's not like that part of your thinking automatically shuts down, with a push of a button, but it happens over time and usually starts early in childhood. Revelation 17:1 "And there came one of the seven angels which had the seven vials, and talked with me [John], saying unto me, Come hither; I will shew unto thee the judgment of the great whore [harlot] that sitteth upon many waters:"
Revelation 6:1-2 "And I saw when the Lamb opened one of the seals, and I heard, as it were the noise of thunder, one of the four beasts saying, Come and see. And I saw, and behold a white horse: and he that sat on him had a bow; and a crown was given unto him: and he went forth conquering, and to conquer." The Lamb is Christ. The four beasts are the zoon, protectors of the Throne of GOD. The color white is symbolic of purity and light. This white horse is the Dynasty of Religion, but the one riding it is satan, de facto, in his role as antichrist. The devil is wearing a crown and has a cheap, fabricated bow with no arrows. Satan will come as the false, or "instead of", Christ. The evil one is a fabricator, an imitator, or a phony. The second horse is red and its color symbolizes governmental or political power. Many brave souls have shed blood for our freedoms, so "red" is often symbolic of human life. The sword represents war. Red is also a popular color used for national flags, especially with socialist or communist countries, such as Russia (Esau). The Dynasty of Politics and Government will "take peace from the earth" by replacing it with false peace (through treaties, false flags and terror) and welcoming a false messiah, satan. Double-mindedness and hypocrisy will reach its pinnacle and turn into the great apostasy of the end times. Revelation 6:5-6 "And when he had opened the third seal, I heard the third beast say, Come and see. And I beheld, and lo a black horse; and he that sat on him had a pair of balances in his hand. And I heard a voice in the midst of the four beasts say, A measure of wheat for a penny, and three measures of barley for a penny; and see thou hurt not the oil and the wine." The pale horse is symbolic of death, which is satan, and represents one of his roles as antichrist. The "beasts" are no ordinary beasts, but wild and venomous ones. It refers directly to the council of cain, the offspring of the poisonous serpent, satan. The venom is the indoctrination from the cup of devils, the leaven and carnal circus that spread through the masses.